A group of college girls host a beauty contest to save their sorority house. 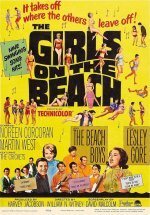 Selma, Cynthia, and Arlene are among a group of coeds who arrive to spend the summer in the sorority beach house. They meet Duke, Brian, and Wayne and enjoy the music of Lesley Gore, The Beachboys, and The Crickets at the local nightclub.